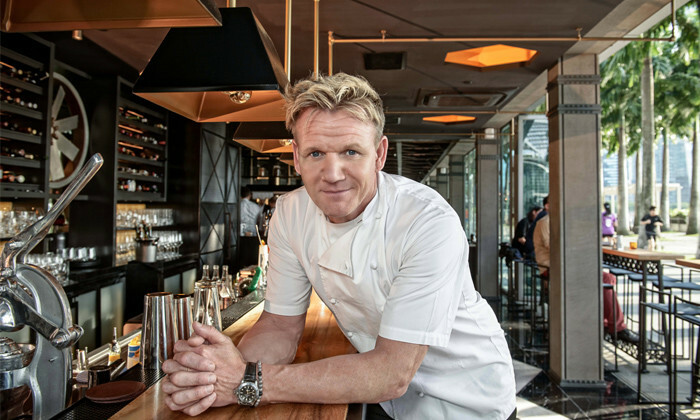 As one of the judges of the Marina Bay Sands’ inaugural Culinary Olympics, celebrity chef Gordon Ramsay of Bread Street Kitchen fame is touring Singapore. Evidently, he has very high standards and expectations – especially for his team. In this Human Resources exclusive, find out what he has to say on talent and leadership in the kitchen. Q: How has the role of a chef grown over the years? Chefs are notorious workaholics. The role of a chef is a lot more prolific today than it was years ago – the image. As a chef, spending that time for yourself three-four times a week (to stay fit) away from the madness, really puts things into perspective. I get so much more organised the fitter I am. Q: F&B is a huge industry here. Comparing Asia to the West, what do you think are the strengths that our aspiring culinary talent have here? There is a super strong work ethic here, whereby I never have once asked a young chef to work six days a week. Whereas, in France they work 34 hours a week. In fact, I do 32 hours in two days. One thing I’ve always admired about the work ethic here, is the culture of hard work. I’m excited about that because we spend 8 to 10 hours a day in preparation for two minutes of magic. It’s making sure these young chefs today understand that substantial passion and effort is put in through hours of craft for mere minutes where that meal is devoured at the table. The life of a chef has never been more exciting than it is today. It’s important for them to understand the breadth of what they can gain from this (as a career) if you put in the work early. Q: And what skills do you think young chefs need to work on? I think over the last 10-15 years, Millennials have been more distracted thanks to technology. After all, a social life is important. So I look at my children as example; they are not allowed to go to bed with their phones. Because if they do, they’ll be there Snapchatting, texting, tweeting – as early in the morning. If it’s not “Keeping Up with the Kardashians”, it’s about downloading the latest app or game. If only they put that amount of detail and effort into (building) their careers, it would be much more sustainable. I don’t think it’s just a cultural thing here (Asia) but it’s a distraction every youngster has to put up with today. There is a super strong work ethic here in Asia, whereby I never have once asked a young chef to work six days a week. Q: Talk about the Millennials, what advice do you have for young chefs? Being a chef is such an exciting, passionate role to be in. I would say to young chefs to get out of your comfort zone. Cooking is one of the most passionate jobs ever in the world. Learning new cultures, and understanding what’s on the ground is so important. And when you stop that learning, when it becomes a mundane job – get out. Go learn different cultures. Go spend six months at the best tapas bar in Barcelona, and from there go spend three months in Vietnam learning how to cook pure fish, and then jump on a plane to get to Mumbai and learn to cook the best vegetarian cuisine. Go live in an ashram. Go volunteer. I’m very lucky as everything I’ve ever wanted to learn has been at my fingertips because I push myself. Culturally, it’s very important for a chef to understand the gravitas of what it takes to understand properly ingredients and learning from “somebody’s mother”. Oh, and don’t go on TV! Q: When it comes to staying focused, how do you encourage your team to achieve that considering F&B isn’t a typical office setting? They need to remember that a chef’s reputation can be lost in just one bad service. What you’ve built for the past 10 years can be soured in hours. If the customers are not criticising, you have to be self-critical. One thing I’ve done with my team is how we have mystery diners on a weekly basis in our restaurants – a group of 200 guests of whom I don’t even know of or when they’ll be there. After which, we’ll have a report within 20 minutes they leave the restaurant. We’ll then go through the email of what went wrong at lunchtime. We don’t wait a week, we don’t wait for a review to come out a month later, by a critic. It’s there and then and that’s how I keep my business prolific. It’s expensive, but in comparison to a dent in reputation, it’s a huge investment. But here’s the thing. Even if the cod was cooked perfectly, I would still get a mystery diner to send it back because I want to see their (staff) reaction. I want to know what it’s like for them when a champagne glass has been knocked over purposely. Because if it’s all good, we don’t need to change that. It’s the negatives I want to hear. Q: You mentioned your mantra with your children is: “The quicker you tell me, the quicker I can help you with the solution”. Does that work in the kitchen with your team too? Yes, it works the same – except we have to do that seven nights in a week. That’s because the worse thing than working with a chef who can’t cook, is working with a chef who tells lies. So, you want to invest in HR technology to transform future talent and business? First, you need to show the C-suite the value of ..
No plans to introduce regulations for AI applications, says Minister Yaacob Ibrahim. We break down aspects of the Parliamentary co..
Singapore’s labour market faces the largest degree of job displacement over the next decade, while Malaysia expects the least job ..